What's the best way to choose a school? Without doubt, the best way to start the search is to give some thought to your child’s potential to succeed at different things and in different environments. Get a clear picture of your child's interests, abilities and weak spots. Consider their academic strong points as well as their aptitudes in sport, art and other extracurricular areas. Ask your child to think about what they like and don’t like about school, their own strengths and needs, and the things they want to get out of secondary school. A reasonably complete picture of your child makes it easier to know what you are looking for in a school, and to recognise it when you find it. Primary school teachers who know your child may be useful sources of information. The most systematic way to select a school is to compare the options against a checklist of school types and characteristics. The headings throughout this section can be used to form the basis of these checklists. If you have a particular need to satisfy (for example, a special educational requirement or a preference for boarding or distance education), the choice will be limited. Otherwise, start by deciding where you’re prepared to travel to, which sectors are most appropriate, and, if applicable, the religion or ethos you prefer. You can add to your checklist by including other characteristics you think would benefit your child (a strong sporting program, a particular language or a new science laboratory, for example). Once you have identified the schools that fit your criteria, you should have a short enough list to go shopping. 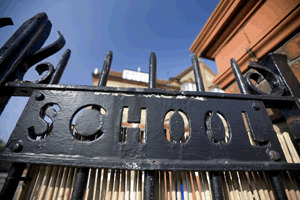 Visit the schools, scour their websites and talk about them with anyone who knows the school firsthand. Which schools get the 'best' results? Although it’s not always useful to apply a blanket success rating based on HSC, QCE and VCE scores to compare schools with different subjects and students, it’s essential to consider each school’s performance against its own best possible outcomes and the outcomes you want for your child. You will probably want to consider the pattern of student performance in Year 12, including the outcomes of senior students. The percentage of ‘high achievers’ in a school is an influential factor for many parents, but remember that every school enrols a different range of students, so you are seldom comparing like with like. You need to find out why the record looks so good (or not so good) and compare schools’ achievements on balance. Many parents are also interested in finding out the proportion of students who go to university. Again, this figure is important, but it does not indicate the universities attended, the courses taken or the number of students awarded their first preference. Try to assess the ability of a school to ‘add value’. For instance, a school adds value if its Year 12 students get better results than would have been predicted from previous years’ results. Also consider the retention rate. It is a significant measure of the school’s success if students are staying on at the school to complete Year 12. Schools usually keep track of two figures: retention between Years 7 and 12 and retention between Years 10 and 12. You could ask about this along with added value. One other very important factor is the teacher. There is an extensive body of research to suggest that although schools make a significant difference, the difference made by individual teachers is even greater.